Order’s up, it’s time for a sushi showdown! Put on your mask and grab your teammate, or prepare to use your fingers as chopsticks. 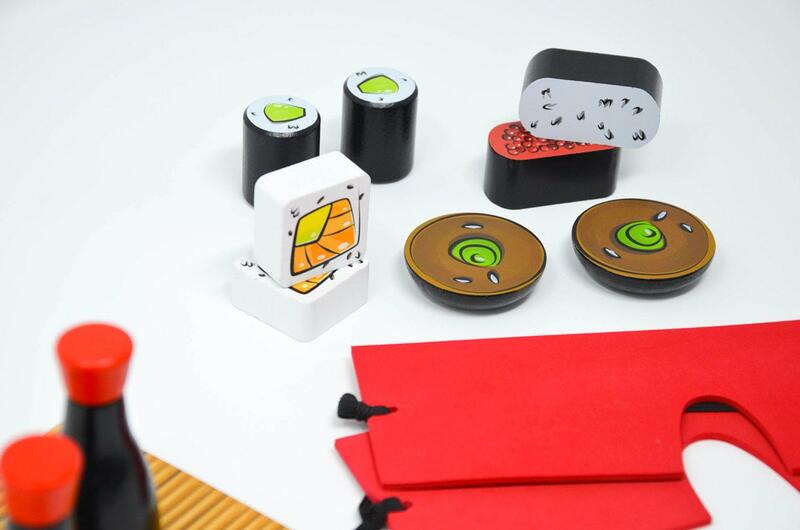 Balance and arrange the sushi, plates, and soy sauce bottles, and make sure to execute the order exactly as shown on the card. But be careful, one wrong move and everything might tumble over! 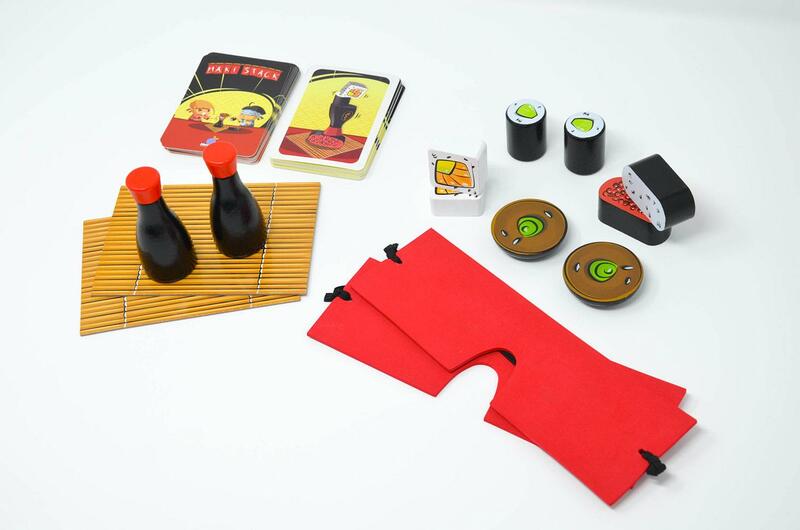 Be the fastest solo chef or culinary team to master the art of sushi stacking, and win.